We'll help you save on RBC Insurance! The Royal Bank of Canada (RBC) provides a wide range of insurance products and is well known for its life insurance. An operating entity of the Royal Bank of Canada, RBC Insurance is one of Canada’s largest bank owned insurance companies, with 4 million clients and more than 2,500 employees. The company received an “A” (Excellent) A.M. Best rating in 2016. RBC Insurance provides services to its customers through a wide variety of channels, ensuring that you get the coverage and support you need, on your preferred channel – and through our insurance brokers at ThinkInsure. Why Get An RBC Insurance Quote? Expert advice : RBC insurance advisors take the time to understand your personal life insurance needs and guide you through your options so you find the right life insurance product for you and your family. Flexible life insurance coverage options : Things change over time. RBC Insurance offers solutions that can be adjusted to your budget and as your insurance needs evolve. Reliable coverage : There is something to be said for investing in strong brands, and RBC Insurance is just this – a company you can trust. Bundle discounts : Get a 10% discount off your term life insurance when you combine your life insurance policy with auto insurance or home insurance with RBC Insurance. RBC also sells car insurance, home insurance, travel insurance and a variety of other personal insurance products, as well as RBC group insurance and business insurance. To learn more about RBC Insurance options, contact our life insurance brokers at ThinkInsure. We will help you with all your RBC life insurance needs. Call 1-855-550-5515 today! If you want to get more out of your investment in life insurance, then universal life insurance coverage may be for you. Get permanent life insurance coverage and combine it with a flexible investment portfolio that is customized to your financial goals. This is an ideal plan if you want to build toward a strong financial future. You never know when a fatal accident could occur. A great complementary insurance product, personal accident insurance ensures you will have the funds you or your family need to maintain a certain standard of living, cover final arrangements, and more. Get coverage up to $250,000. Learn more about how to protect your family and invest in your future by calling a ThinkInsure broker today to get an RBC life insurance quote. Want to get an RBC insurance quote online? Need an RBC term life insurance quote? Want to learn more about your life insurance coverage options? 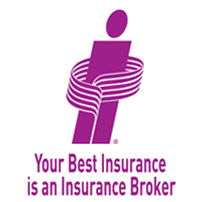 Our brokers can help you with all your inquiries for RBC Insurance and many other insurance products. Call one of our life insurance experts to discuss your situation and your life insurance needs at 1-855-550-5515.